*Cook the soup on a slow flame for a rich taste. Take a pan and add Ghee in it. Let it warm for a few seconds. Add Cumin(Jeera) in the pan. Then add Celery Seeds(Ajwain) in the pan. Add onion. Sauté it until fry. Then add tomato. Sauté it for 1-2 minutes. Then add sprouts. Sauté it for 4-5 minutes. Add all the spices and mix them well. Saute it for a few seconds. Add two cups of water and let it boil. Once it starts boiling, add another cup of water. Cover the lid and let it boil for 20-25 minutes on a slow flame. After 20-25 minutes check whether sprouts are cooked properly or not. 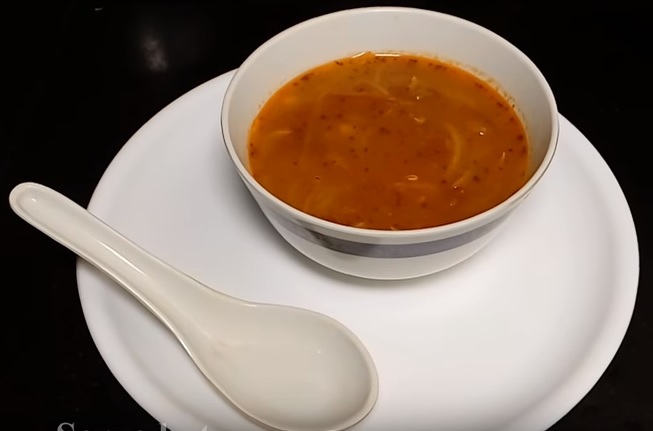 If cooked then check the soup’s consistency according to your taste. If it’s as alright, serve hot.